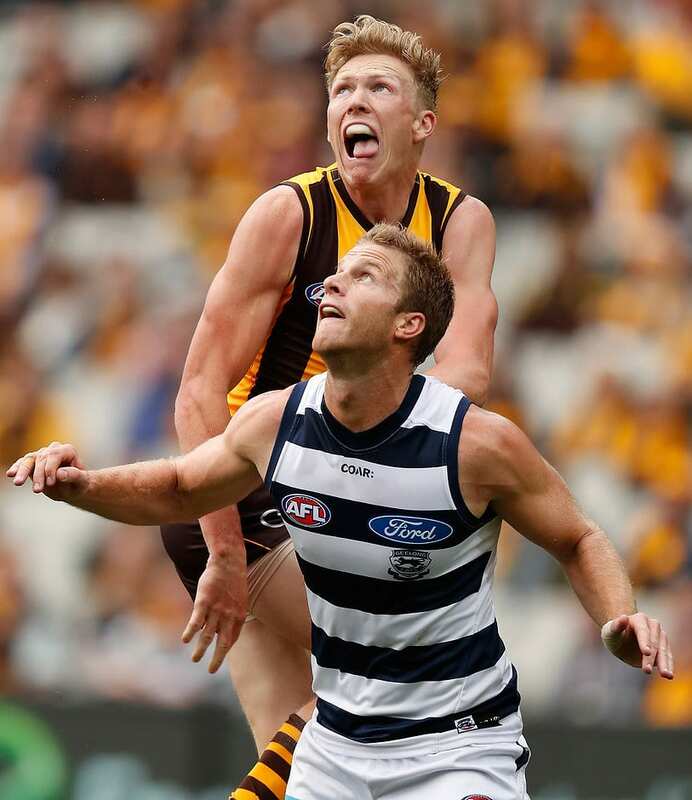 Last Time We Met: Geelong R2, 2018 Highlights from our epic battle with The Cats in round 2. Henderson will be a crucial cog in the Cats defence this week. Cats defender Lachie Henderson says form won’t mean much when it comes to this Saturday’s matchup with the Hawks. Henderson told the Geelong Advertiser that he was well aware anything could happen when the two sides stepped out on the same field. “They (the Hawks) are playing really, really good footy and we will have another good look at them this week at training, but I think it is one of those games that whenever Geelong and Hawthorn play each other it doesn’t really matter the form you bring into it,” he said. The clash shapes as a crucial one for both sides’ finals hopes, with the Hawks sitting in fifth and only one game clear of the Cats in ninth position. “Everyone knows it’s a big game, but it’s a big game for about six or eight teams this week,” Henderson said. Henderson says the Cats won’t necessarily be rolling out the same corridor-oriented brand of football that they took to the Tigers last Friday night. “The coaching group has shown they’re adaptable and adventurous with the way they do things and the playing group has been really receptive to that direction,” he said. “We defend first and want to get that right but once we get the ball in our hands we’ll adapt and go from there. It is a best option process for us rather than a set process where you say, ‘this is what we’re going to do no matter what’. “But I think we’re a pretty adaptable group, I think it (attacking through the coridoor) is not really going to be a set thing for us, it will be what Scotty and the coaches decide for that week and how we best think we’re going to be able to attack and defend the footy." Henderson knows it won’t be easy to defend a talented Hawks outfit. “They (Hawthorn) are just a very good forward line and a very good team, so we are going to have to be on our game and the boys (in defence) have been awesome all year,” he said.